Includes pairs of 5 to 50 lb dumbbells in 5 lb increments, plus a rack to fit all ten pairs. This DBRACK-10C replaces the discontinued DBRACK-10 model. 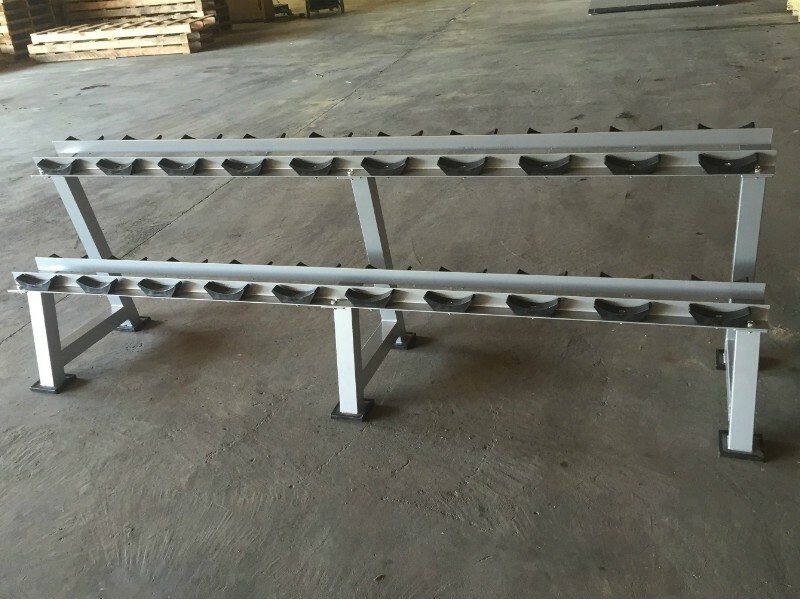 This model adds an extra center support frame for maximum stability and strength. 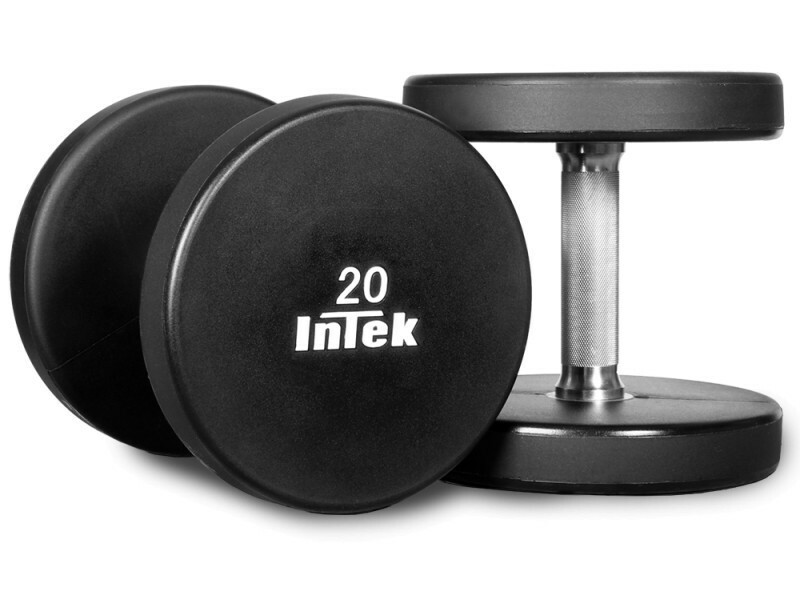 The saddles are spaced widely to fit dumbbells with large heads such as the Intek Armor series.